Reminder – UPL Summit – Webinar on Saturday 3/23/2013 at 11:00 a.m. All members are invited there is no charge. We also invite legal document preparers from other states and members of The Nationwide Alliance of Legal Document Preparers We are including new information in this UPL Summit, and focusing on the First Amendment and Constitutional aspects of protected commercial speech. Invitations are going out this weekend. If you have not received your invitation by Monday 3/18, please contact us to request one. - FALDP May 7, 2010 - - WOW – we sure were skinny way back then! In honor of our third birthday, we're having a party. All members are invited. All virtual of course. There will be contests, prizes, and giveaways. More details to follow. But, for an example... we're giving away discounted memberships to the winner of our website contest, and the winner of our essay contest. UP to 20 points each is awarded. The specific value is at the judges' discretion. The judges are outside associates who do not know any of our members (except for me and Julian Beyer). My site – www.for-the-people-of-florida.com and Julian's site – www.julianslegaldocprep.com are excluded from the contest. Winners will be announced on May 7 at our online birthday party. 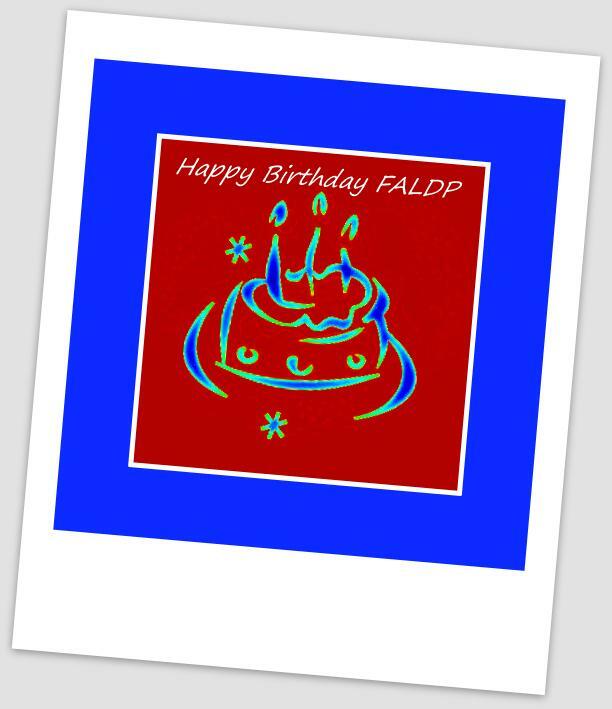 The I Love FALDP Essay Contest can be about any aspect of membership in our association. Besides a discounted renewal membership, we will ask the winner for permission to publish their essay on our site and in our newsletter. Some things that might make you think – Before joining FALDP did you feel isolated? Since joining FALDP have you learned new skills or information that have helped you increase your income? Tell us your story, you might win the prize. Winners will be announced on May 7. There are more prizes and giveaways to be announced throughout April. The date is set – September 21, 2013. The place is Cedar Key in the meeting room of the historic library. More details to come. Maybe or sometimes. Or definitely, because you have the certificate to prove it. Or, maybe you are, but you can't call yourself that because you don't work for a lawyer. Or, maybe you are, but you can't call yourself that because you're not certified by the Florida Bar. Or maybe you have more education than is required of a paralegal, (like a Bachelors in Legal Studies) but you don't have any sort of paralegal certificate. Confused? If you are, you can bet the public is even more confused. I tell you this for your own protection. As legal document preparers, we are walking talking targets for antagonistic attorneys and the Florida Bar UPL Committee. 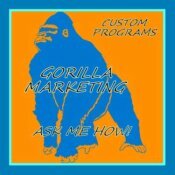 My suggestion is that you not give any ammunition to those that would like to see you out of business. Calling yourself a paralegal (or legal assistant) when you are offering your services to pro se litigants is asking for trouble. Although, I think that the paternalistic stance of the Florida Bar is unnecessary and unpersuasive, the Florida Bar has a lot more resources than all of us combined. In fact, the last time I checked the Florida Bar had an annual budget of 1.6 million dollars just to investigate and prosecute UPL. Some document preparers insist that since they are Florida Certified Paralegals; or since they have their Paralegal Certificate hanging on the wall – they should be able to use the term. Me, I don't have a dog in that hunt. I don't use the term because it is a red flag for the Florida Bar UPL Committee, who really does have the time and resources to troll craigslist looking for people who mistakenly use the term paralegal to describe themselves. I have no idea what could possibly be the meaning of “other similar term” in the Florida Bar rule quoted above. Sounds vague to me. We use legal document preparer because it seems to be bland and inoffensive enough that the Florida Bar doesn't bother us. Other terms we like are: legal document specialist, legal document technician, and alternative legal practitioner. And we especially like unlawyer, and believe wholeheartedly that nonlawyer is just silly.